Our food is prepared fresh and made with love. 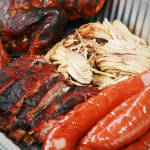 Whether you like traditional – baby back ribs, pulled pork, smoked sausage or beef brisket – we have all your old-fashioned barbecue choices. Wanna a little taste of Nashville? Then taunt your taste buds with our hot chicken or hot fish sandwich – both local favorites. You got a craving? We aim to please. Everything is smoked over local hardwood – a combination of hickory, cherry, and apple wood fuels our on site smoker. 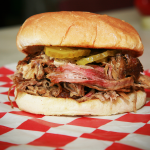 So come on over to Fat Boy’s BBQ for a genuine taste of the Deep South. Let us cater your next event! Call (615) 360-9969 for the best deal in town.